Holy Tudors, Batman! This book was fantastic! I've read a lot of Tudor fiction, especially on Henry VIII, so I've become quite familiar with Charles but I feel like I have a better grasp on him thanks to author Tony Riches. If you haven't read Tony before, his books all feature the Tudors so he is an epxert on the family. And that comes across when you are reading - his knowledge on the times, the people, the politics is top level. I swear, I don't know how he keeps the branches on this ginormous family tree straight in his head! All the Henrys, and the Catherines, and the Williams..it's enough to make one's head spin! But Tony manages to make it not so confusing to the readers. Charles Brandon was a close confidante of Henry VIII's despite the ups and downs of their friendship, and even after Charles married Henry's sister Mary without his approval or knowledge. In the book we follow Charles' life, his marriages, and his career in Henry's court. We also get a front seat to Henry VIII's rise to the crown, his marriage to Catherine of Aragon, Anne Bolyen, and Jane Seymour. The sights, smells, grit, and beauty of the Tudor times is brought to glorious life in Brandon-Tudor Knight! I absolutely loved being back with Charles and Henry and Mary, and I can't wait to read more from Tony. I've heard other bloggers rave about his books and now I see what they are talking about. Thankfully Tony has quite a backlist, so I'm excited to get started with the rest of the books. Tony Riches is a full-time writer and lives with his wife in Pembrokeshire, West Wales. 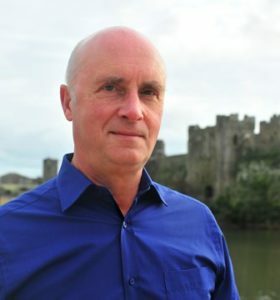 After several successful non-fiction books, Tony turned to novel writing and wrote ‘Queen Sacrifice’, set in 10th century Wales, followed by ‘The Shell’, a thriller set in present-day Kenya. A specialist in the history of the early Tudors, he is best known for his Tudor Trilogy. Tony’s other international bestsellers include ‘Warwick ~ The Man Behind the Wars of the Roses’ and ‘The Secret Diary of Eleanor Cobham’. For more information please visit Tony’s website and his blog The Writing Desk. He can also be found on Facebook, Twitter, and Goodreads. 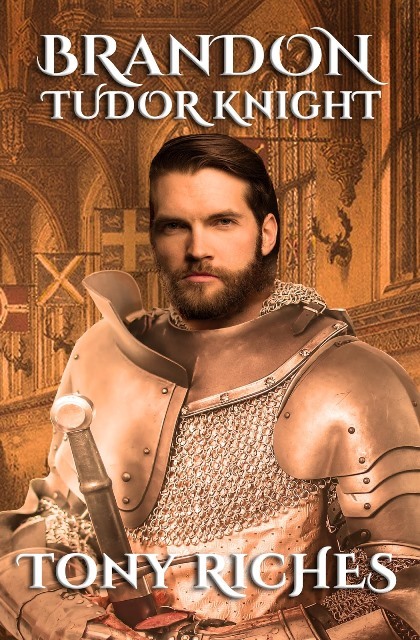 During the Blog Tour we will be giving away a paperback copy of Brandon-Tudor Knight! To enter, please use the Gleam form below. 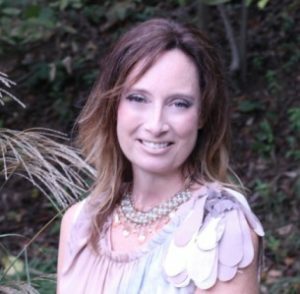 Interview with Elizabeth Hutchison Bernard, author of Temptation Rag! With giveaway! It's a fun day on the blog today! I have a great interview with Elizabeth Hutchison Bernard, author of Temptation Rag: A Novel! I really enjoyed this book - you can read my review here. I hope you enjoy the interview. We also have a giveaway at the end of this post, so be sure to enter! Hello Elizabeth and welcome to Passages to the Past! Thanks so much for stopping by today to talk about Temptation Rag: A Novel! It took me quite a long time to realize my dream of becoming a novelist. In the beginning, I was distracted by a competing love, which was music. After nearly a decade as a touring musician, I transitioned to the fields of public relations and editorial. For the last eight years or so, I’ve been a full-time writer. During that period, I have written two historical novels and am working on a third. My first book, a medical thriller entitled The Beauty Doctor, takes place in the early 1900s when the field of cosmetic surgery was young and dangerous. My new release, Temptation Rag: A Novel, introduces readers to the ragtime era and its most fascinating figures while telling an emotional story of love, betrayal, and ambition. What inspired you to write Temptation Rag: A Novel? Temptation Rag started out as a book loosely based on the life of my husband’s grandfather, Mike Bernard, who won the title “Ragtime King of the World” in 1900 and went on to become one of the most famous ragtime pianists of all time. It evolved, however, into a story weaving together the lives of several historical figures plus one mostly imaginary one. The narrative is told from multiple points of view. What research did you undertake when writing Temptation Rag: A Novel? The story of ragtime is really complicated---not only from a musical standpoint but from a cultural perspective. Fortunately, there are many excellent books on the subject, and I read as many as I could get my hands on. I also corresponded with several ragtime scholars, who were very helpful and generous with their knowledge. And, of course, there was the family “lore” about Mike Bernard, most of which was not very flattering. It was a combination of all these things, and the liberties of a fiction-writer’s imagination, that served as the basis for my story. What would you like readers to take away from reading Temptation Rag: A Novel? Besides wanting readers to experience the excitement of the ragtime era, I hope they will see its injustices---for example, the way in which African American-inspired music was largely appropriated by white musicians, many of whom made fortunes on it. I hope, most of all, that the characters and their struggles to discover who they are and what really matters in their lives will resonate with readers. I can’t think of one particular scene above all others, but I always enjoy creating settings that evoke a vivid sense of time and place. Writing about the colorful world of vaudeville gave me lots of opportunity for that. It is challenging to write a scene in which high-stakes emotional conflicts come to a head. Especially in those kinds of scenes, it can be tricky to find the right balance between characters’ thoughts and actions---meaning, how they really feel versus what they say and do. I knew from about fifth grade that I wanted to write books. I spent the whole summer between fifth and sixth grades working on a mystery novel in the style of the Nancy Drew books that I so loved as a child. I was lucky to have wonderful first-edition copies handed down from my mother. I often start writing early in the morning, before having breakfast and taking my dog for a walk. I come back to my computer later in the morning, take time out for lunch, and often work throughout the afternoon. While taking an exercise break on the elliptical, I often will review on my iPad whatever the last thing I’ve written is. I convert my manuscript, at whatever stage it is, to Kindle format so that it reads just like a book, and I find that’s the best way to really get a good feel for how it’s working. Probably my greatest challenge is my tendency to compare myself to others. As a writer, it’s important to have your own distinct voice and to believe in that voice. While I think it is really important to read a lot and learn from other writers, it is essential not to “lose” what is special about one’s own approach to storytelling. There are so many writers I admire that it’s difficult to name only a few. But when I was writing my first novel, The Beauty Doctor, I often would refer back for inspiration to my favorite books by Edith Wharton, Megan Chance, Sarah Waters, and Sue Monk Kidd. Maybe not the first but the first to make a great and lasting impression on me was Gone with the Wind by Margaret Mitchell. The last was My Brilliant Friend by Elena Ferrante. I love to read Scientific American. I have been a student of the I Ching for many years. I am happiest hanging out at home. As a writer, I really appreciate that readers of historical fiction are life-long learners who have a great deal of curiosity about things outside their personal experience. Definitely it’s the Victorian Era through World War II. I love composing music. I enjoy nature, gardening and hiking. I am fascinated by antiques---Persian rugs and tapestries, Venetian glass, old books and sheet music covers. And, of course, I love reading. My next historical novel is also set in the late Victorian era and early 20th century. It is based on the true story of two famous sisters in conflict, one being an idealist, the other a materialist, and it includes mystery, a touch of the occult, and many outrageous but true happenings. Ooohh, that sounds wonderful! I can't wait to hear more! Thank you for spending time with us today, Elizabeth. During the Blog Tour we will be giving away copies of Bernard's other novel, The Beauty Doctor. One paperback and two eBooks are up for grabs. To enter, please use the Gleam form below. I've been a fan of Kate Quinn's ever since she released her first novel, Mistress of Rome, and it's been amazing to watch her grow as a writer. With every new book she releases you think that surely she's peaked, but then the next book comes out and it blows you away even more! If you thought Quinn's The Alice Network was big, just wait and see The Huntress explode across the book world! "She was not used to being hunted." Thus begins The Huntress, a novel that will grab you from the start and not let go until you reach the final page. In Quinn's latest we follow Ian, a war correspondent, his partner, and his wife, Nina as they start their mission to track down a war criminal only known as "the Huntress". Switching between past and present, readers are also taken back to Nina's time during the war and her aviatrix career with the Night Witches, a group of female pilots and bombers. This regiment, comprised of young Russian women in their late teens and early 20s, flew in the dead of night to drop bombs on the German military. Could they be any more badass? I think not! And Nina is just about as badass as they come! I loved her! "Maybe that was another reason Nine liked the U-2, because it had been designed without brakes. So was I." "I cut her thumbs off," Nina said cheerfully, flicking her straight razor. "Then she talks. Carrot, then stick, then razor. Is simple." I swear, about 75% of my highlighted passages in this book were from Nina. As I was reading I was picturing Jodie Comer from Killing Eve playing her in a movie. Hollywood seriously needs to option this for a movie, it would be amazing! 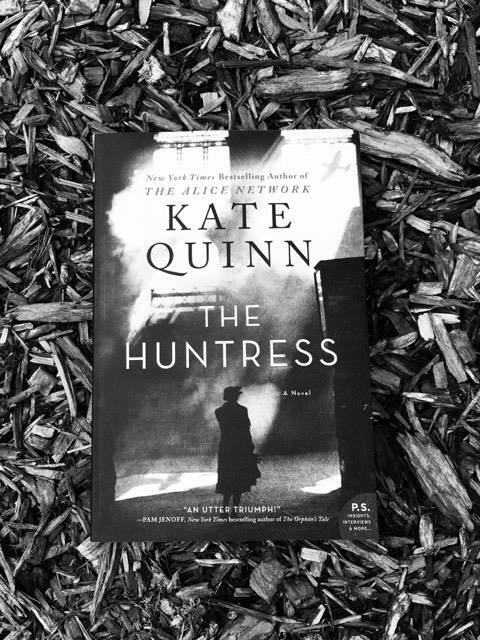 Told with Quinn's signature style of sass and wit, The Huntress is the ultimate historical fiction read. It had everything that a reader looks for - danger, intrigue, mystery, romance, history, and most of all...Night Witches! I inhaled it in one sitting and though I own an early copy of the book I went out today and bought another one, which I plan on reading again soon. Yep, it's that good! Thanks to the fine folks at William Morrow for my review copy. 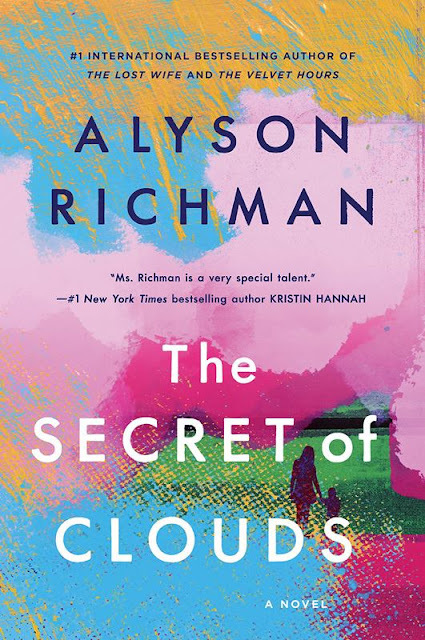 Please join me in saying Happy Book Birthday to Alyson Richman's The Secret of Clouds! I'm reading it now and about halfway through. It's a great read and very sweet story. 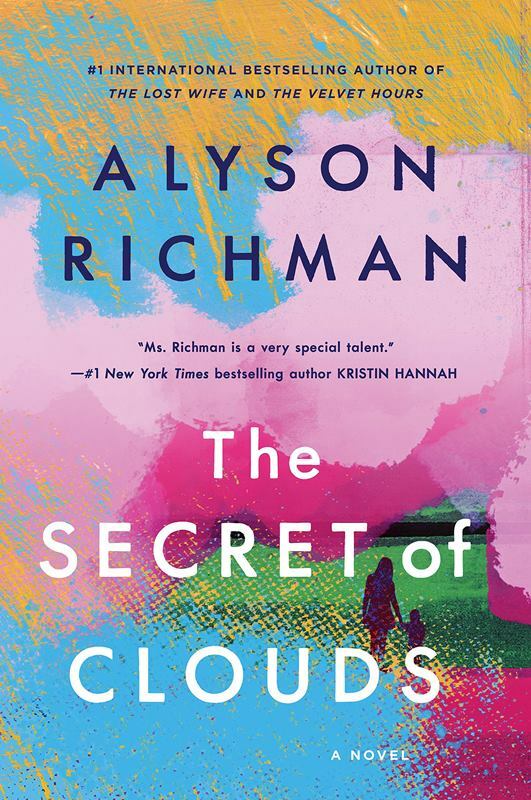 A teacher's love for her student is masterfully told in this sweet and emotional read, The Secret of Clouds. The book is set mainly in 1999 as the Y2K madness was happening, but for a short while the story goes back to the mid-80s in Kiev as Richman tells the story of Yuri's parents and how they came to move to the US after the disaster at Chernobyl. In the present storyline, we follow Maggie, who has left her corporate job to follow her dream of becoming a teacher. She is now teaching sixth grade and is asked to help tutor Yuri, who is unable to attend school due to his heart defect. It's slow going at first as Maggie tries to drag Yuri out of his shell, but they soon bond over baseball. I absolutely loved the Mets references! I married a New Yorker so I'm a Mets fan by marriage and our boys love them too. In fact, my 6-year-old wore his Mets hat to school today for "hat day". The Secret of Clouds is a fantastic tribute to teachers and shows how a child can affect our lives just as much as we affect theirs. I've been reading quite a few dark and gritty reads lately so this was a welcome change. It was an easy read and I devoured it in a few sittings. This was my first read by Richman (*gasp*) but it won't be my last! "And yet, I knew that so many languages of love existed. Some forms, however, were more obvious than others. But if you took a step back sometimes, you could find it in the most unlikely places. And the discovery of it was often the greatest reward." 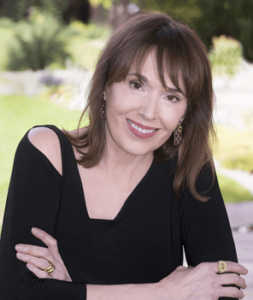 Alyson Richman is the author of six historical novels including "The Mask Carver's Son," "The Rhythm of Memory (formerly published as Swedish Tango)," The Last Van Gogh," and three international bestsellers: "The Lost Wife.," "The Garden of Letters" and "The Velvet Hours." Her books have been translated into 20 languages. She loves to travel, cook, ride her yellow bicycle, and do ballet. She currently lives in New York with her husband and two children. Ragtime comes alive in Bernard's Temptation Rag: A Novel! 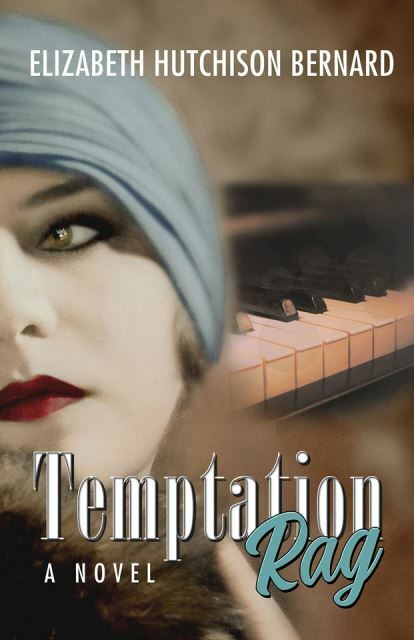 Temptation Rag follows the lives of May Convery, a socialite who dreams of becoming a poet, and Mike Bernard, a determined musician who eventually becomes the Ragtime King of the World, and their relationship over the course of decades. We also get POVs from the supporting cast of characters so that the readers get a rounded view of the their lives, the times and most importantly, the music. I haven't read any books set during this time or featuring the Ragtime music scene so I found all it quite fascinating. Bernard has a great way of setting the scene and making the reader feel like they are really there. In addition to the music, Temptation Rag touches on the racial tensions of the time, and the plight of women as they fight for their rights. It's a story of passion, grit, ambition, love, and hope. It was an intriguing read that I highly recommend! You can call me a Naomi Finley fangirl now, friends! I've been wanting to read her since she released A Slave of Shadows and I'm so glad that I finally did. 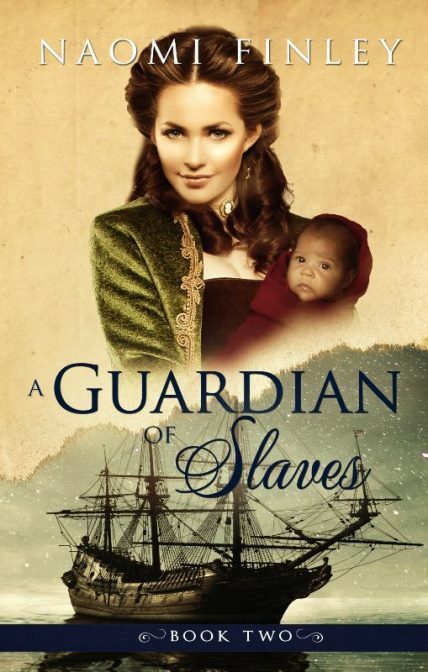 A Guardian of Slaves was a fascinating read! I hadn't had the chance to read the first book in the series, A Slave of Shadows, yet. But it didn't take away from my enjoyment of this follow up. In fact, I want to read the first book even more now to see what I missed! Willow is now running the Livingston Plantation after her father Charles is killed, and she continues to help slaves escape to freedom with the help of her uncle and her friend, Whitney. Willow is a fierce abolitionist but forced to pretend otherwise so that the town people don't catch on to her real mission. The story is told with multiple POVs, which I enjoyed. It was interesting to hear the story from their eyes, as well as Willow's. There is plenty of mystery in this one to keep the reader guessing. Who is the Guardian and who is he working with? Who killed Charles Hendricks? What secrets are buried in Charles' journals? Who is the new mysterious neighbor? As the subject matter deals with slavery, you know going in that it's going to be difficult to read about. I feel like Naomi did a great job with being true to the history of that time yet not overwhelming the reader. There were some tough scenes to read and sometimes some harsh language, but nothing that turned me off from the story. While I adored Willow, it was Whitney that stole the scenes for me. She was funny and full of sass and I loved it! Now, excuse me while I run off to start A Slave of Shadows! For more information, please visit Naomi Finley's website. You can also find her on Facebook, Twitter, Instagram, and Goodreads. Maggie’s one advantage may be her new found friend: the ghost of a Victorian-era cop. With his help, can she find justice in a lawless city? Innocence Lost is the first novel in the Bootleggers’ Chronicles, a series of historical fiction tales. 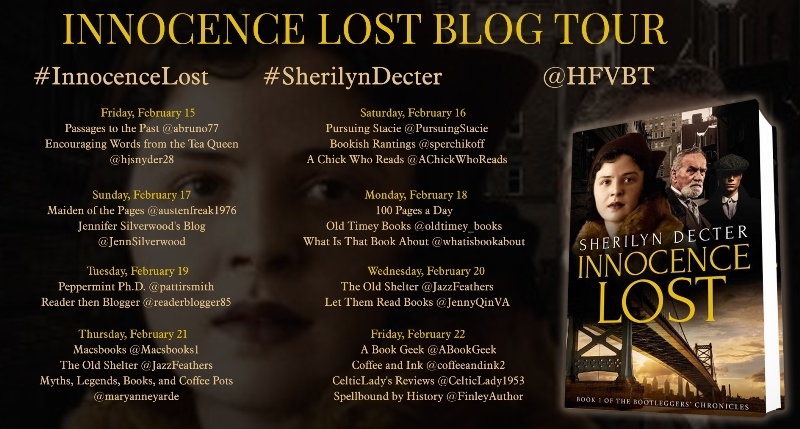 If you like headstrong heroines, Prohibition-era criminal underworlds, and just a touch of the paranormal, then you’ll love Sherilyn Decter’s gripping tale. "Philadelphia has not yet lost its soul. It's still the early days of Prohibition. Sure, you can see that rot around the edges of beginning to creep in, but people, for the most part, are enjoying the thrill of being lawmakers." Prohibition has been going on for about 4 years and bootleggers run the city of Philadelphia. Maggie is a single mother living alone with her son at a time where that was frowned upon. Despite her parent's pleas to return home after losing her husband, Maggie is determined to stay independent. When one of her young son's friends goes missing Maggie is drawn into the case with the help of a the ghost of a long dead policeman. I liked how Maggie came out of her shell more as the novel progresses. She moves past her prejudices and misgivings and integrates herself more into the community. I enjoy watching a character evolve like that. She also overcomes her apprehension with working with a ghost and becomes quite the detective herself! "I realize that it is unorthodox. But here we sit, a woman and a ghost and, if I join the investigation, I don't know which of us would shock people more. Surely you see that the whole situation is unorthodox." Fast paced and intriguing, I was immediately drawn into the novel and by the time I looked up I was already halfway through the book! I finished the second half in one sitting too. That's how hard it was to put down. Maggie and Frank are a great team! I greatly enjoyed my time in the world created by Sherilyn Decter and can't wait for the next book in the series, Tasting the Apple. 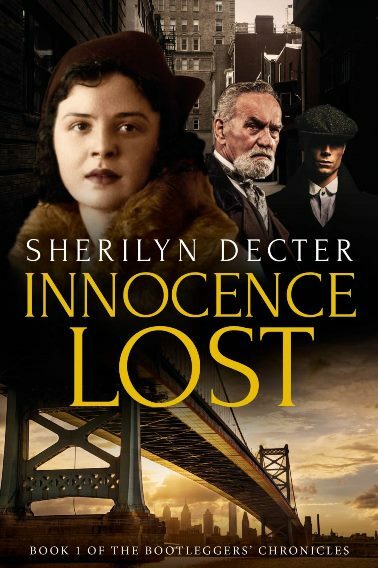 I highly recommend Innocence Lost! 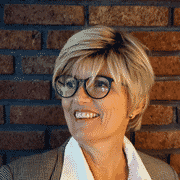 Sherilyn Decter is a writer, researcher, and lover of historical fiction. Her work is set in the Roaring Twenties and if you like feisty and determined heroines, complex cover-ups, Prohibition stories about criminal underworlds, police and political corruption, then you’re going to love Sherilyn’s grand gangster tales. For more information, please visit Sherilyn Decter's website. You can also find her on Facebook, Instagram, Goodreads and Pinterest. During the Blog Tour we will be giving away two prize packs of a copy of the book, a set of Paper Dolls, and a Jazz Age Fashion Coloring Book! To enter, please use the Gleam form below. – Giveaway ends at 11:59pm EST on February 22nd. You must be 18 or older to enter. 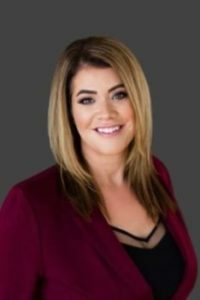 Please help me welcome author Laura Matthias Bendoly to the blog today! 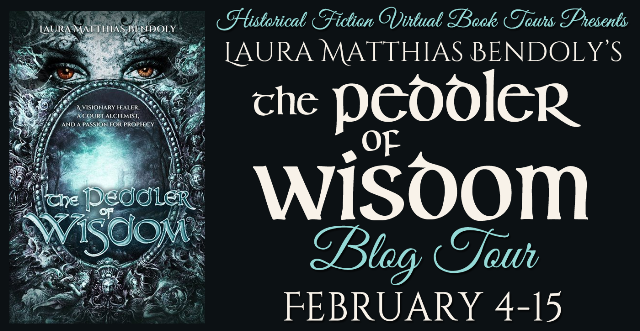 Laura is currently on blog tour for The Peddler of Wisdom and she graciously agreed to answer a few questions for me! I hope you enjoy! You can check out my review of The Peddler of Wisdom here, and don't forget to enter our giveaway below for an eBook or Apothecary soap! Hello Laura and welcome to Passages to the Past! Thanks so much for stopping by today to talk about The Peddler of Wisdom! I am an Indiana native but I lived the longest in Georgia, where I set my second novel, Laerka – a Savannah mermaid tale retelling. My current home is in a northern neighborhood of Columbus, Ohio. My life as a writer started as an undergraduate, but I was always a reader. Even before I became an avid reader, I was an inventor of worlds. I had my own archaeological dig for a while as an eleven-year-old, for example. I unearthed a few gallons of pottery remains near an old church yard, and I considered myself the next Indiana Jones. I also was a great lover of mythology and folktale, certain that I would be the kid who would find a fairy glen in my back yard or a back door to Narnia. I did an MFA in writing during my twenties, but then I took a long break (finding paid work, having children) and took a big dare of writing a full novel after my second child. That manuscript became The Estate, my mystery set in Scotland. What inspired you to write The Peddler of Wisdom? I spent a year in France as a college sophomore. Though I was at a college in France’s northwest, and not in Provence, where I set Peddler, I went to that region often enough to recognize its allure. Provence’s combination of Roman ruins, Christian mythology (the cult of Mary Magdalene, in particular), Gypsy horse culture, wine-making, art, flower growing, natural dying, and fruit cultivation is unparalleled. Also the abundance of one-time autonomous ducal regions makes the province particularly useful to an author who requires an isolated community as the setting. Provence was self-governed for centuries after the fall of the Roman empire, and its attitude remains very independent, not requiring the oversight of Paris or the greater French Republic, in a sense. My character, Irène, is a person of this same spirit. She doesn’t answer to a higher authority, really. She considers the healing trade to be her master, and also the mountains, where she finds her medicinal ingredients. The highest authority though is her combination Christian God/pagan goddess spirit, who regularly speaks to her and gives advice. What research did you undertake when writing The Peddler of Wisdom? I spent six years researching and writing Peddler. In a way, I have never stopped researching the book, since I find the subject of early medicine extremely interesting. Women did participate in the sciences during the 17th century. However, they did so informally. They rarely received the tax status of ‘physician’ and were almost never allowed to attend university to acquire a degree in medicine. However, women, especially wives, were expected to grow healing gardens as a matter of course. Those who were literate and whose gardens and kitchens were sufficiently large sometimes kept journals or recipe books. These ladies became some of Europe’s earliest female pharmacists, though they’d never have called themselves that. I spent many months reading accounts of German, French, Italian and English women who took care of their families and nearby communities with the herbs they grew and the healing powders they prepared and documented in pharmacopeia – pharmacy manuals that now reside at Europe’s leading research libraries. As well as studying the work of informal lady medics, I examined alchemy books, Renaissance star charts, anatomy illustrations from Muslim Spain, numerous pages of Catrina Sforza’s treatise on cosmetics, accounts of Tudor women’s homemade makeup, and sixteenth-century culinary books. I studied maps and battlegrounds from six nations, I read a shelfful of French folktales and corresponded with curators, historians, tourism experts, alchemy practitioners, and rare book collectors in France, England, Canada, and Scotland. What would you like readers to take away from reading The Peddler of Wisdom? I hope that after spending time with The Peddler of Wisdom that readers will consider what’s in their own garden. How they might help their neighbor with a small task, and, also, consider how to be kind to the earth around them which gives them such an abundance of gifts. I hope, too, that some will consider researching a little-known person who might have contributed in a small way to a great mission – to the liberating of a community, perhaps. But also to the healing of some small rift. Small slights can grow, on occasion, to centuries of war. But if we try to salve the small wounds, great things can come, and our group dynamic can resist strains from distress and illness, pain and embarrassment. Irene simply reached out to her neighbors, often without payment, to say I care. I can help you. Just let me in to talk to you. You don’t have to take my advice, but you need to hear that I care. Sometimes, that makes so much difference. It can even save a life. You don’t have to be a Queen Elizabeth or a Catherine di Medici to matter in the greater scheme, in The History of mankind. You just have to care and touch a life, in a small way, regularly. Doing this is what knits the world together. The scene of the fireflies was a great one. So was the scene when Durande, Irene and Noisette go up the mountain to visit Zahara’s source. I was taken on that hike with them and just watched them chasing butterflies. My scenes in mine tunnels required a lot of re-writing. I haven’t been to a salt mine, in person. I have been inside a lot of caves – most of them the spelunking type. I have also been to a few gold mines in Georgia. The Blue Ridge Mountains are famous for gold. There are salt mines in Switzerland and Austria, and Peddler’s fictional village is at the border of Switzerland/France/Italy. I sort of moved an existing area of salt deposit slightly west for this novel. There are some detailed vintage photographs of salt mines at several on line catalogs that I visited, as well as virtual mines you can travel along on line. From these photographs and web galleries, I made my underground descriptions. When an author doesn’t have a publisher’s advance, she has to make do with published or Internet sources. I didn’t. I avoided it for years. It sounded just so hard, so time consuming, and involved constant re-work, re-invention, and rejection. So, I did six other jobs first. I was never satisfied with those jobs, however, and came back to writing. Now I can’t do anything else. How to turn a phrase differently …. How to describe an experience in a way I have never done before or in a way no other writer has done before. This is a challenge I will probably never achieve to my satisfaction. I dread that idea that I’m writing the same book every time, or the same sentence! Another challenge – remaining sufficiently interested in my subject. If it’s a subject I have imagined, I often don’t have enough details to remain engaged long term. As a novel takes me several years, I HAVE to stay involved with my protagonist, or at least with a problem she is wrapped up in. My Laerka protagonist, Stella, who was an invented person, like Irène, stayed interesting for me during the four/five years of writing that novel because of her location. The city of Savannah is so endlessly fascinating, with such a history and so many fabulous corners and secrets and bayous and marshes, that even when Stella’s conversation got a little stale, I found some old washed up boat to talk about, or a weird bit of driftwood. And, bing, I’m into it again, and, hopefully, my writing stays fresh. There’s a lot! I get ideas from old maps, historic paintings, landscape photography, collectible objects, peoples’ handwriting, journals, illustrations, recipes, travel writing, tourist sketches, other people’s lists, stamps, vintage prints, costumes, old books, community/rural museums, garden tools, museum catalogs, wine, perfume, flowers, regional trees, old date books/agendas and calendars. I am the only freckled person in my family. I don’t care for beets. I would like to visit Russia – when they’re done shooting down passenger planes. I love being surprised by details from history. There’s a lot an author can pluck from her imagination and experience, but beyond that, you either have to interview others for your details or go to the library. I confess I prefer the library. You don’t have to ask permission to write the detail down or get an attorney to represent you. If it’s in the historic record, you get to keep it! For your own use! Of course, you should use that detail wisely. I loved finding out, for example, that the best Renaissance feast involved stuffed meats. Literally – the chef at a wealthy manor house would prepare for his lord a duck stuffed into a swan stuffed into a boar stuffed into a steer. And then he covered all that with pasty in the shape of a castle. I’m not making this up. I love the ancients. Madeline Miller’s Greek myth retellings are fabulous. I also enjoy the folklore of the British Isles. There’s an Irish mystery writer I love, Erin Hart, who uses Ireland’s bog people and the flora and fauna of the island’s wild landscape just beautifully. The Middle Ages are a constant source of interest for me, especially as they are so hard to research. I loved Ken Follet’s treatment of this time period. In terms of more recent historical fiction, Carlos Luis Zafon is brilliant in his capturing of 1930s Spain, as is Tennessee author Amy Green, famous for the Great Depression-era Long Man and Blood Root. I like to sit near a window with a view. Right now I’m on the couch overlooking the neighborhood ravine – a shallow gorge with a creek running through. Today the ravine has a new dusting of snow, so it’s very clean and white with the outline of every branch visible. It’s cold and leafless but quite and very beautiful. I'm revising an old manuscript featuring a Gypsy family on the lam in the Midwest. And I'm collecting boarding school stories from the 1950s. I'd like to write a novel about that period, especially for my mom, herself a boarder during that decade. That sounds fascinating! Thank you so much for taking the time to be here with us today. I loved The Peddler of Wisdom! In the borderlands of the village Les Échelles, giants sleep and werewolves howl. Travelers must cross deep gorges to pay visit. The only strangers are treasure-hunters seeking the riches of Zahara, a drowned Crusader bride. She planted the nearby woods with rich botanicals, now the healing herbs of Irène Guéri, apothecary in these parts. When a cruel invader storms the village he brings along his shy, though brilliant alchemist, Joaquíno Durande. Will Irene join forces with this scholar, risking her profession and her neighbors’ trust, or flee to the valley? Enormous decisions await, and great danger as friends, neighbors, and even the tools of Irene’s workshop rise, enchanted, into the fray of war. Though I grew up in northern Indiana, most of my work takes place elsewhere. My characters are slightly offbeat eccentrics. They wear Goth clothes and invent secret passwords. They make friends with outsiders and from those fringes my heroines gain their strength. Though these protagonists don't have supernatural powers, they absorb a kind of magic from those they help and gather as friends. This is so with hero Stella Delaney, whose mission to save a trafficked foreign girl gains strength from the powers of a mysterious Gullah woman. So is it the case with Eileen Morgan, whose trip to Scotland wraps her in a world of ghosts and a deadly struggle for entitlement between a wealthy land-owning family and their one-time vassals, now barely hanging on. I write about the places I have seen as an outsider but in which I could see myself in another life...a boat guide along one of the Georgia marshes, a shepherd in the Scottish lowlands, a craftswoman in Cornwall, in Western Great Britain, or a healer in rural Southern France. Will I ever be that woman? Only if I write myself there, and I love to bring new readers along. I live in Columbus Ohio with my family. 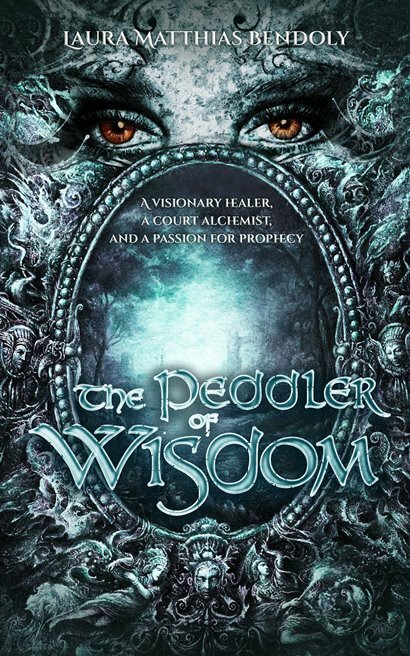 During the Blog Tour we will be giving away two eBooks of The Peddler of Wisdom! To enter, please use the Gleam form below.